This 384 Class III, digital infant scale was principally designed for use with infants unable to stand and therefore must be weighed supinely. It’s capacity is 20kg and graduated as follows: 10g 20g. Its carry weight is 2.5kg. 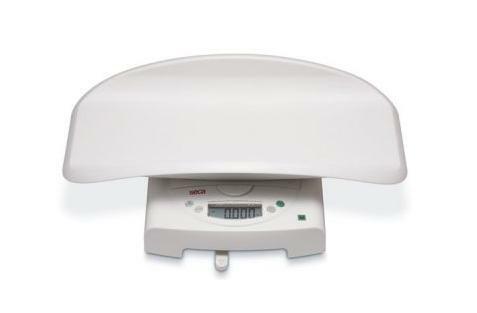 Seca 384 portable electronic baby scale with practical handle for convenient transport. 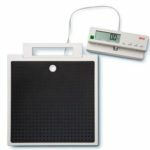 A stylish baby scale combining convenience with practicality. Even its base equipment offers lots of useful special functions. Fit the accessory measuring rod Seca 232 to it and you will get a perfect solution for measuring and weighing babies. The easy-to-clean integral pan will never let you down, as it is made from robust ABS.